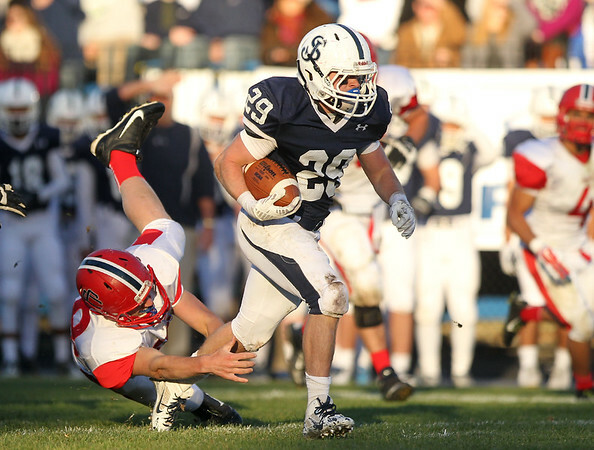 St. John's Prep senior Cody Harwood (29) runs through an arm tackle from Central Catholic junior Mike Horak and breaks into the open field on Saturday afternoon. The Eagles steamrolled the Raiders 42-7 in the D1 North Semifinal at Cronin Field in Danvers. DAVID LE/Staff photo. 11/2/14.